A trial by jury is what can help people win their foreclosure matter and finding out these helpful hints about getting a jury trial may be just what is needed to start. 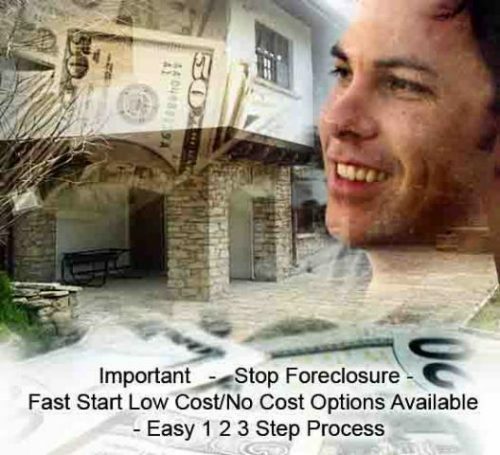 Foreclosure is a difficult circumstance to deal with and it is vital that people gain as much knowledge as they can to help them keep their property. Also there are many other crucial civil matters where it is essential for one to seek out help in the process of establishing a winning strategy. One of the things that can make for a positive outcome in these matters is securing a jury trial in fighting foreclosure and other civil matters where applicable. Here are some some tips and useful information in the pursuit of justice to consider in ones efforts to go for a jury trial instead of a trial by just having a judge sit over the matter. Along these lines foreclosure and law researcher Guy Te Watson at Help-To-Stop-Foreclosure.Net says “People in foreclosure and other civil matters can fight for a jury trial, which to often is denied in such cases and that can be because of a lack of meaningful efforts to secure a trial by jury.” He further states that “When it comes to a particular situation everyone needs to do their own research into these matters as it applies to them.” And these tips herein can help with that research along the way. First, from Guy Te’s research in certain circumstances including but not limited to many “foreclosures,” it is a constitutional right to have a jury trial for matters that include a debt of more than twenty dollars. The United States of America federal constitution states in the Seventh Amendment that “In suits at common law, where the value in controversy shall exceed twenty dollars, the right to trial by jury shall be preserved….” Using this constitutional provision can be of benefit as one works to save his or her real or other property and secure a trial by jury. Second, State constitutions also usually include a significant clause that protects the right to a jury trial like the Constitution of the State of Alaska at section 16. Civil Suits; Trial by Jury, it states “In civil cases where the amount in controversy exceeds two hundred fifty dollars, the right of trial by a jury of twelve is preserved to the same extent as it existed at common law.” So state constitutions and their jury trial clauses can also make the difference between getting to call a jury or not be able to do so for a trial. According to American law the right to a jury trial is a due process right that people have and the Bill of Rights for the Constitution for the United States of America, states at Amendment V, “No person shall … be deprived of life, liberty, or property, without due process of law….” Furthermore, in US V. RIGSBY the Sixth Circuit Court (1995) in essence says that the requirement that a defendant receives a fair trial by a panel of impartial, that is to say indifferent jurors, is a basic mandate of due process. When considering the right to due process in the united States of America by definition Black’s Law Dictionary states “It means due process of law warranted by the constitution, by the common law adopted by the constitution, or by statutes passed in pursuance of the constitution. 1 N. H. 53.” See Black’s Law Dictionary, First Edition, page 694. Also, though one may have the right to a jury trial it is important to note that the courts have said that a mere scintilla of evidence is not really sufficient to submit a case to a jury; see SANJUAN V. IBP, INC. (10th Cir. 1998). So it is key to realize that people have and build a good argument and/or help their counsel do the same.